Aer Lingus stands ready to rejoin the Oneworld alliance under the new Oneworld Connect partner model, says Willie Walsh, CEO of parent company IAG. "Aer Lingus would certainly like to look at the Oneworld alliance again, and given the way that Oneworld has evolved I think that's a fairly realistic prospect," Walsh told Australian Business Traveller at a media briefing in London today marking the alliance's 20th anniversary. Walsh indicated that Oneworld Connect – sometimes described as a 'membership lite' model – would be a more likely fit rather than the full membership status such as that enjoyed by British Airways and Qantas. "I think it's fair to say that one of the reasons Aer Lingus left the Oneworld alliance was because of the complexity associated with being a full member, which at the time was difficult for Aer Lingus to justify as the alliance expanded," Walsh expanded. 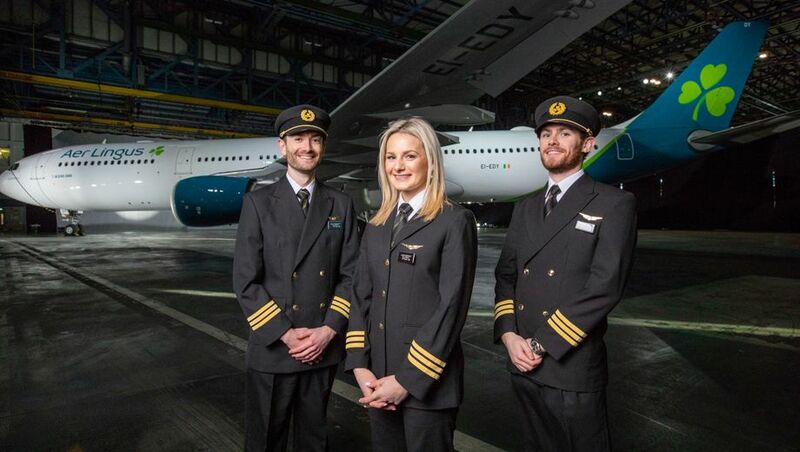 "I think the iterations that are now in place are much more suited to the business model of Aer Lingus and would be an attractive proposition for Aer Lingus." "A Connect member is not required to enter into relationships with every other Oneworld member, only a minimum of three sponsor airlines, so it's much easier and less onerous for an airline," added Oneworld CEO Rob Gurney. Oneworld Connect partners provide a baseline of benefits to frequent flyers from any Oneworld member airline, with a more extensive range of benefits offered on the partner's sponsor airlines. That baseline sees travellers holding Oneworld Ruby, Sapphire and Emerald status – in Australia that’s equivalent to Qantas Silver, Gold and Platinum – able to use the priority check-in desks of a Oneworld Connect member, with priority boarding available with a flash of your Oneworld Sapphire and Emerald card. There's a better set of benefits for top-tier frequent flyers from the sponsors of a Oneworld Connect airline: through check-in of luggage, earning and redeeming points, earning status credits plus lounge access for first and business class passengers and Oneworld Sapphire and Emerald cardholders. IAG CEO Willie Walsh pointed out that newly-minted Aer Lingus CEO Sean Doyle, having been a 16-year veteran of British Airways, "is very familiar with Oneworld... so it will be Sean's decision." However, Walsh cautioned that taking a seat at the Oneworld table would not be atop Doyle's to-do list, with the airline currently focussed on growing its trans-Atlantic opportunities, including joining the existing trans-Atlantic JV with British Airways, American Airlines, Iberia and Finnair. The spearhead of this will be a new fleet of long-range Airbus A321LR jets arriving from June, which will also introduce lie-flat business class to key European cities including London, Paris, Amsterdam and Barcelona. Aer Lingus was a Oneworld member until 2007, when it left the global airline group as part of a strategic shift away from the premium market to become a low-cost airline. The airline has since reversed course and, following a £1bn buy-out by IAG, has been edging closer to its parent, including the adoption of the common Avios currency in its AerClub frequent flyer scheme. David Flynn travelled to London as a guest of Qantas and Oneworld. I flew EI three years ago. Never again. Maintenance issues, nasty staff and dirty aircraft were only the beginning. Possibly due to the influence of Ryan Air (Irish Maffia), the airline had transformed itself from a Legacy to a LCC. I believe that, at the time, QF had some kind of codeshare or points sharing agreement with EI. I don’t think EI deserved to be in such an agreement. My experience with JQ was far superior to EI. I’m glad to see EI leave it’s LCC days behind, but I’ll need some convincing of a better hard and soft product before I use them again. For the meantime, even with a OW rejoin; premium travelers: be wary. Must be based on individual experience: I also flew Aer Lingus about three years back, just a quick hop from Cork to Paris, and found nothing to complain about. Crew were lovely, seat was fine. Lovely crew and very nice service. That said, the hard product doesn’t justify the cost. can I assume that one world connect membership means that I cant use this airline on a oneworld explorer RTW fare? Also had two great flights with them in 2015, so it would be great to have them back in Oneworld. Also travel ex Dublin was very cheap - about half the price compared to flying out of other European airports, so would look at that again. Aer Lingus has one of the better FAs in the sky and its hub in Dublin is also superb in offering seamless immigration service into USA. EI flight attendants are just lovely with literally no attitudes of any sort and in my opinion, their in-flight dining offerings are simply the best I have ever experienced among all the airlines tried to date. One year I caught the severe flu over there before taking my flight and just felt terrible. I didn't tell the FAs, made an effort to act as normal (it was a really bad season, I recall a lot of the other passengers were coughing quite hard and that year Paris was covered in heavy smog - like the ones in Beijing) and just kept drinking lots of water and was hoping soon after departure, meals would be served quickly. And it did. After waking up from a nap and feeling a bit better, I noticed 3 bottles of water sitting on the armrest table - that really hit me. Then one of the FAs came over and she asked me how I felt and brought me another bottle of water at the same time. She said to me, "I hope you will get better soon" as well as some other comforting words along the same line. Once I did recover though, I do remember. It's a cold world out there and it's always the little things that carve the deepest impression. Aer Lingus shall be one of the premium airlines inside the oneworld Alliance. Comment on "Aer Lingus looks increasingly likely to rejoin Oneworld"